Thank you for explaining the different types of filters to us. We feel good about our decision, and we know we will breathe better from now on. We add reliability to your infrastructure. Proper HVAC design and maintenance will have a major impact on the wellbeing of both your personnel and your business. Your Anchor Comfort Specialists have the knowledge and experience needed to recommend, install, and maintain the most efficient equipment for your specific application. Attention to details is the key to reliable service and savings that go directly to your bottom line. We serve metro Atlanta and a large portion of west Georgia. Commercial, industrial, and institutional. Heating and cooling. Any make or model. Whether a retrofit or new design, our engineers find the solutions that make the most of your facility and resources. Years of experience ensure that the handoff from engineering to installation is a sure process. As you would expect, our crews are fully insured, and we are able to provide performance bonds as required. Better yet, we know what we're doing. Once the equipment is in place, we are committed to maximizing its useful life. 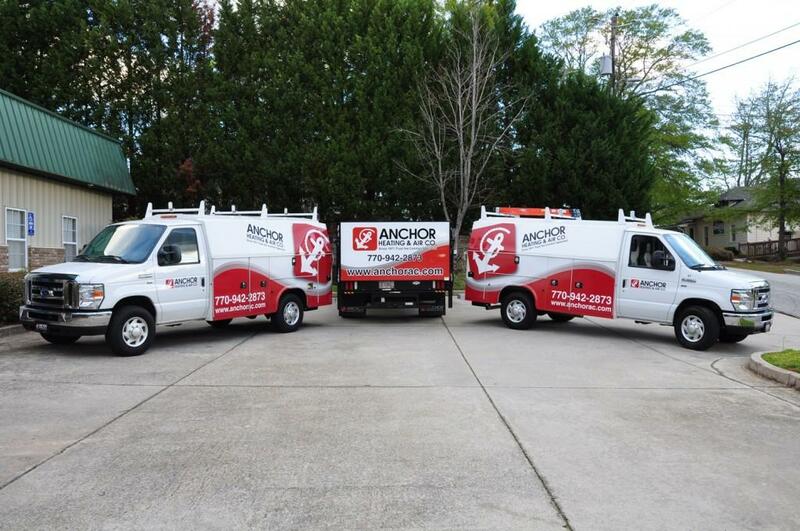 Anchor Heating & Air Conditioning offers comprehensive maintenance agreements that prevent costly breakdowns. Save money and keep your business humming! Ask us for a quote today. Want to Learn More About Our Commercial Services? Visit our Commercial Website!